eggs and greens are a match made on earth. I learned something new last week. 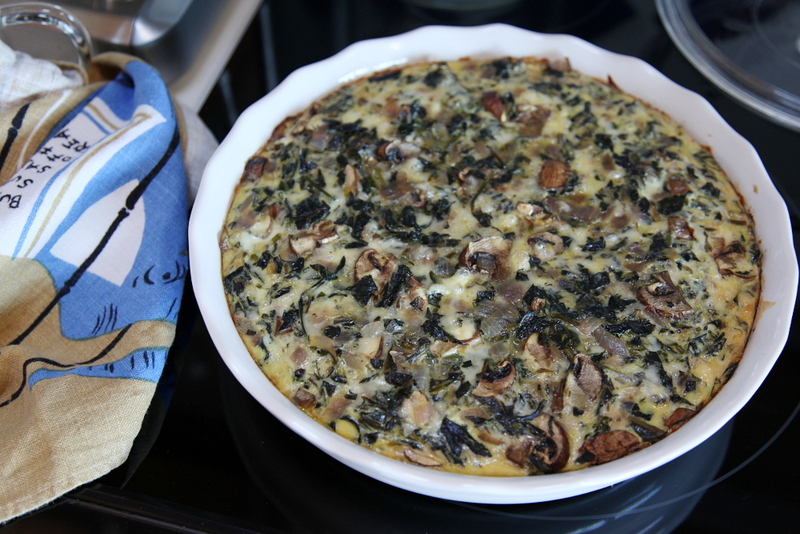 A crustless quiche is one of the easiest, tastiest, most satisfying meals to throw together. And it’s equally suitable for breakfast, lunch or dinner. Pretty much perfect, right? With springtime eggs and greens in abundance, this is an affordable, nourishing meal that even my not-so-egg-friendly man enjoyed quite a lot. 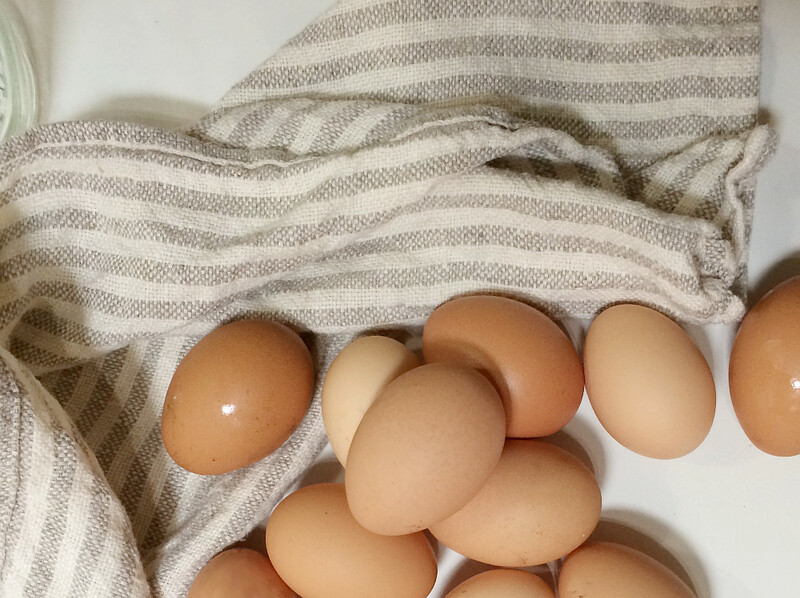 My friend Amber‘s chickens have been laying on the regular again, and I’ve been so lucky to have received quite a few eggs from her recently. They are seriously the best eggs I have ever had, and I’ve had a lot of fresh eggs! Her chickens are no doubt happy, healthy girls. 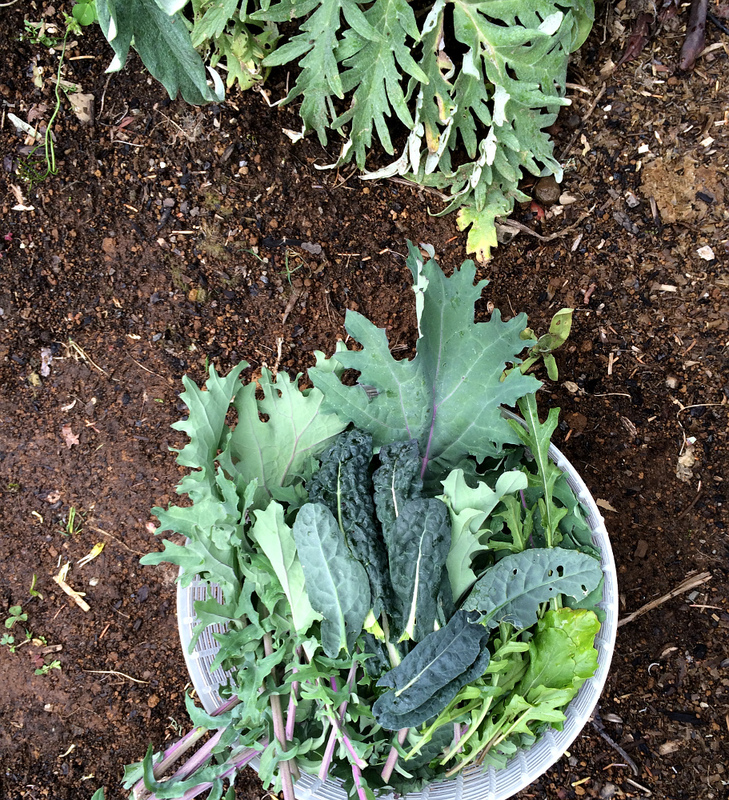 Our garden doesn’t offer a whole lot this time of year, but we can always depend on kale. It loves the cooler weather and is super delicious and abundant right now. 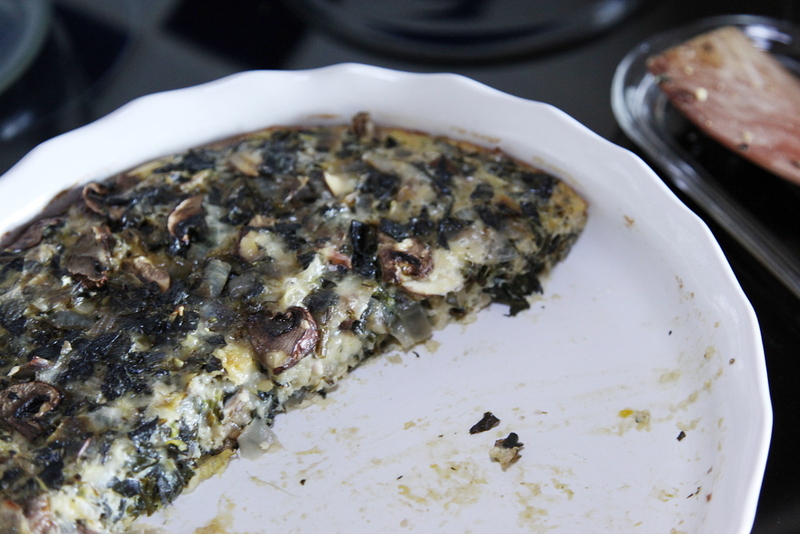 On the day I made this quiche, we were even lucky enough to share this meal with my chicken keeping friend. 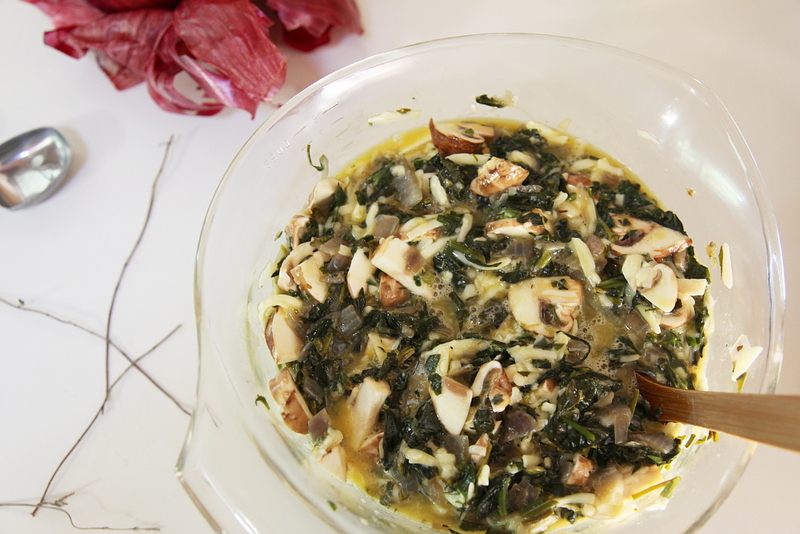 In a large sauce pan or skillet, sautée your onions in butter until soft, then add your kale. Sautée the kale until brilliant green and softened. In a large mixing bowl, beat your eggs. 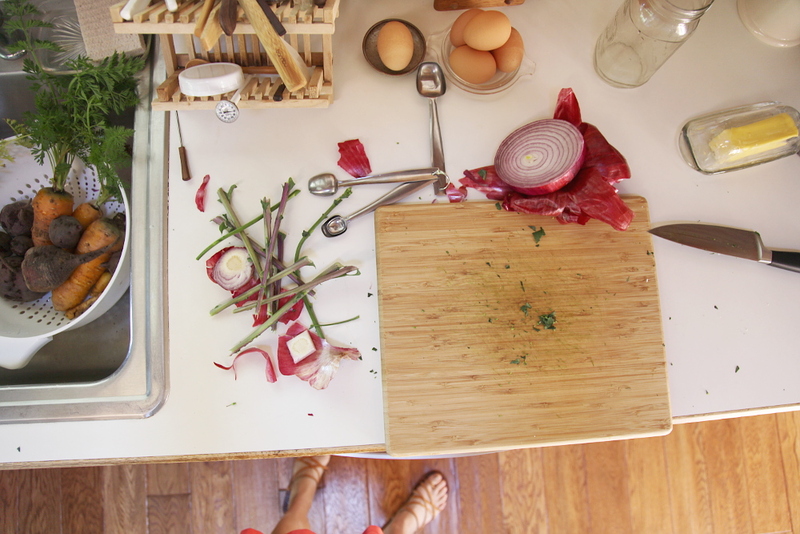 Add the onion and kale mixture. Add chopped mushrooms, salt, thyme, pepper. Pour the mixture into an oiled 10 inch pie pan. Bake for about 30 minutes – until the eggs are set. 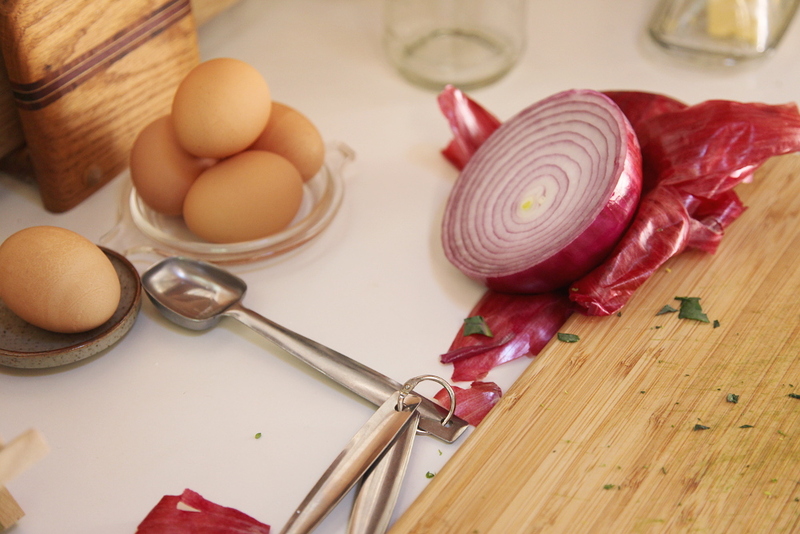 This meal is even more delicious with toasted sourdough… recipe coming soon. Update: It’s an artichoke! I’ll be in touch soon, with those of you who guessed. PS asonomagarden, your email doesn’t work so please get in touch if you’d like to receive your gift. The Stanley Prune is starting to flower. Maybe we will have our first fruits from this tree this year. 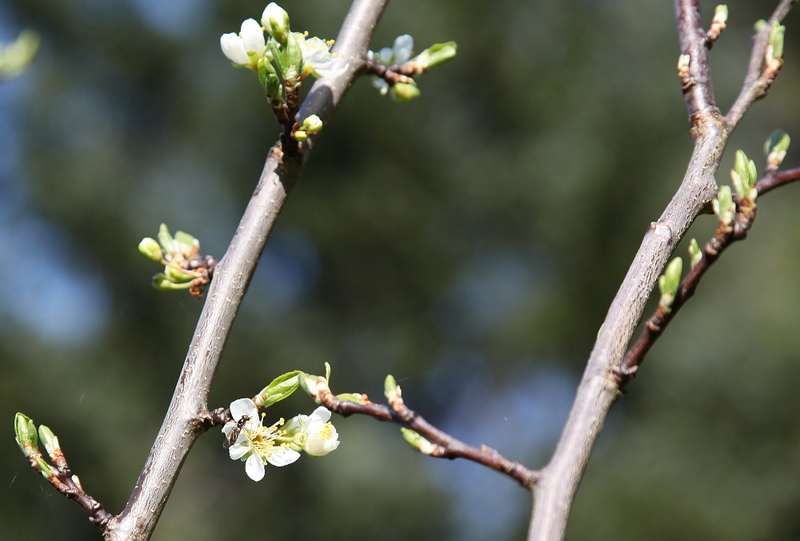 There were tiny bees – which I think were mason bees – buzzing around the new blossoms today. 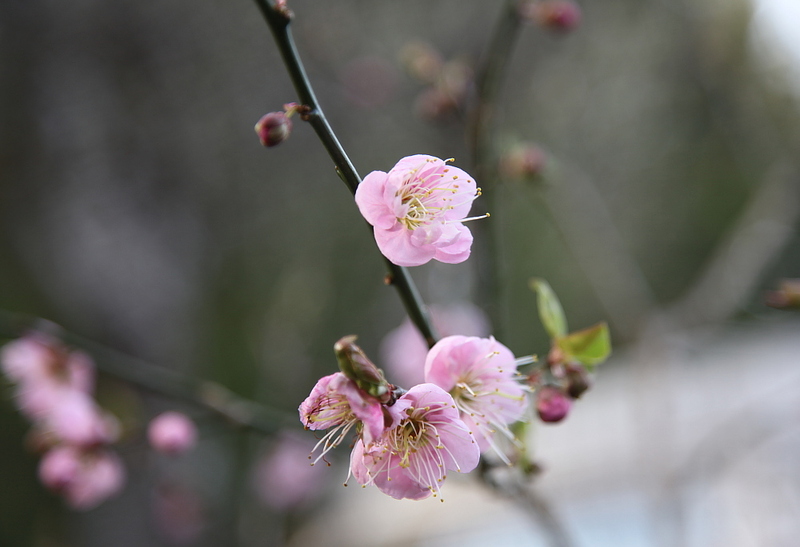 Flowering apricot. The prettiest pink. 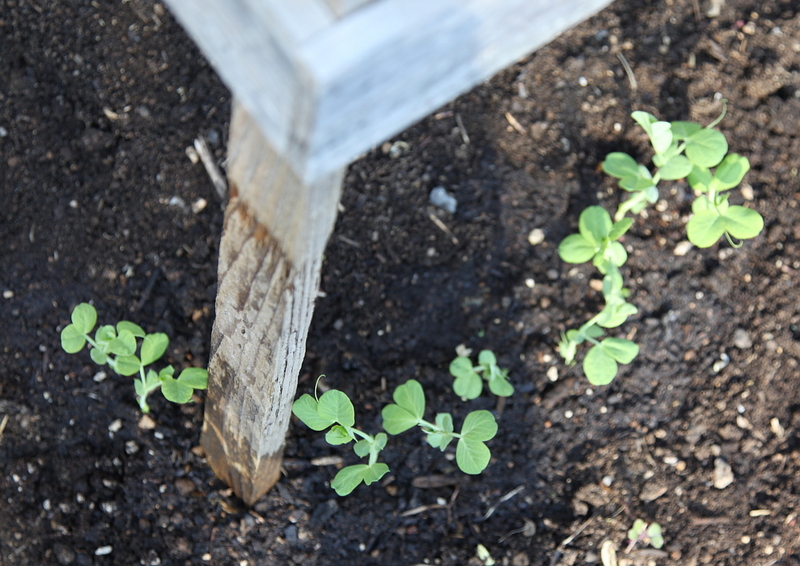 The first of the sugar snap peas, with so many more to plant! We’d like to grow more of these than ever this year. 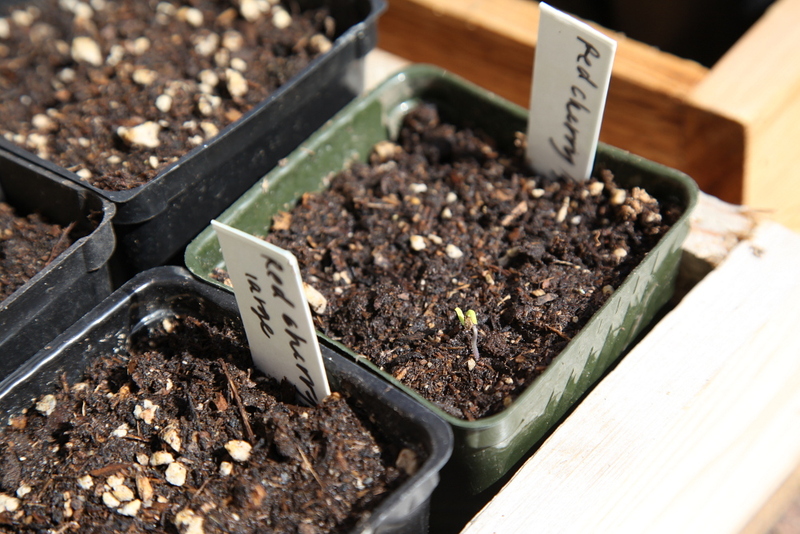 One single tomato seed has sprouted. Just today. We have been hitting the weeds hard the last couple weeks. This is the best time, while the ground is soft and they are relatively small still. They grew like crazy this year, with our mild winter. 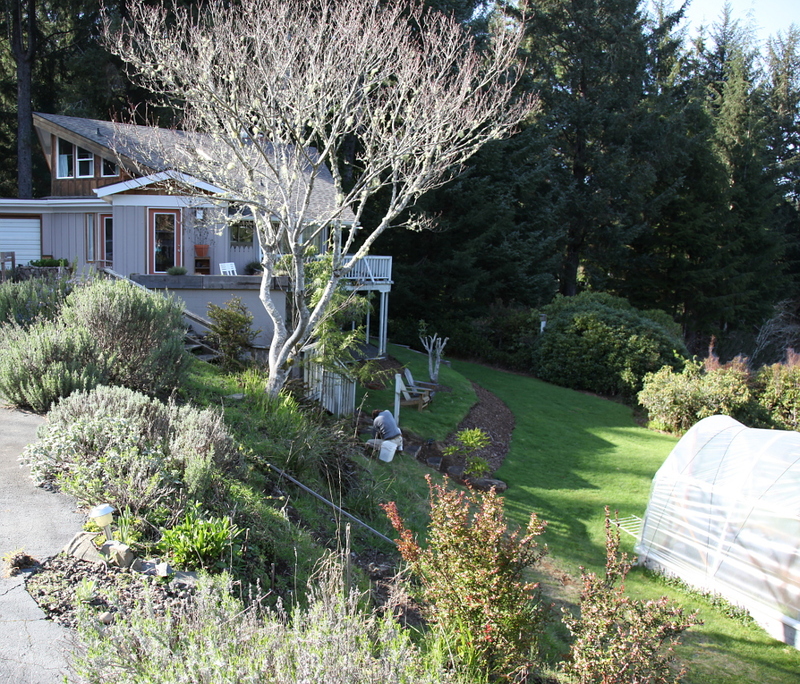 Winter was pretty mild – even for here – and spring has been coming gradually and gracefully. I am so grateful for this time of year, with warmer, longer days; meals outside again, with fresh herbs at an arms length; coffee time in the sunshine; camp fires in the yard; digging in the dirt. I feel like an emerging young plant – sort of sleepy still from the dark of winter, yet bursting with life and ready to bloom. I won’t even start with my excitement for summer! Happy Spring friends, even if it doesn’t quite feel like it yet where you are. 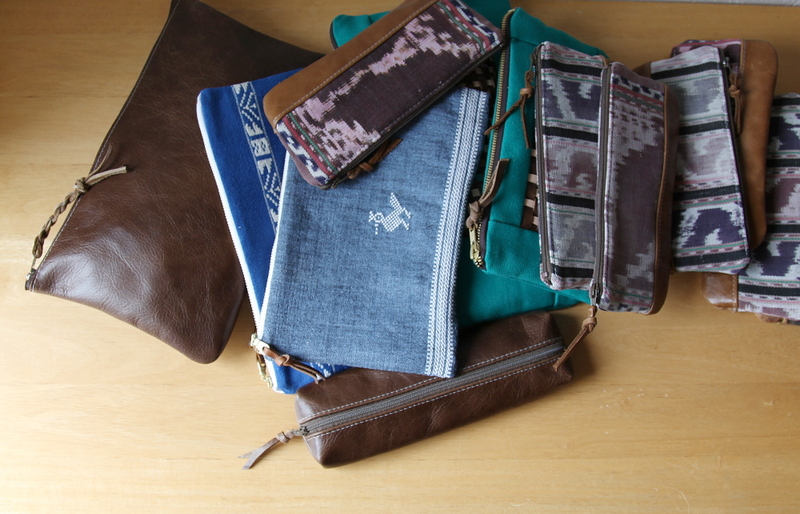 A bunch of new pouches and clutches have been added to the shop. Highlighted above are a few of my personal favorites. Have a look if you like! Many of them are one of a kind. I’m especially excited about the woven leather pieces, and am working on more.